Happy Presidents’ Day! The third Monday of February was originally set in 1879 as a US federal holiday to celebrate George Washington’s birthday. However, it was later used to celebrate Abraham Lincoln’s birthday also, so a bill was written and passed into law in 1968 to rename the holiday from “Washington’s Birthday” to “Presidents’ Day”. 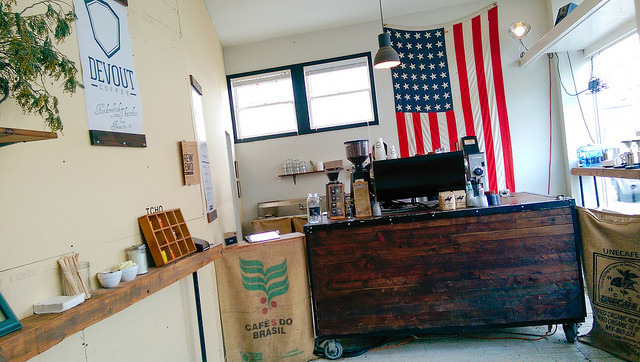 Devout Coffee was once just two brothers in the garage, with a bbq converted into a coffee roaster. 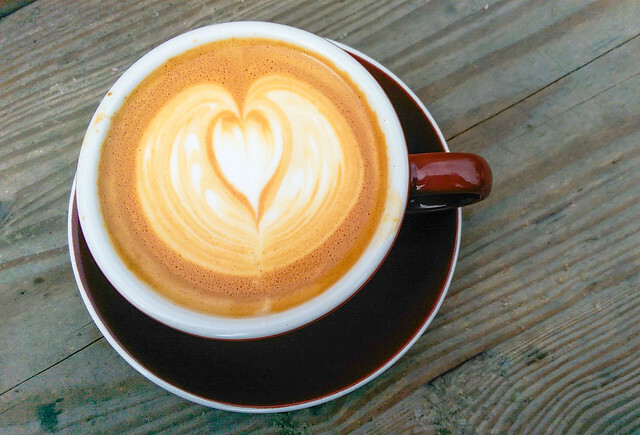 Fascinated by specialty coffee and the flavors that can be produced solely from the bean, they began to search out how to recreate that explosion of flavor they had experienced in specialty shops in the bay area. As they began to show friends and family what coffee could, (and in our opinion, should) taste like they realized that people really loved it! Unless these friends wanted to drive 30min to the cities surrounding (or visit the garage…) there was just no place like it in their town of Fremont, CA. In Dec. of 2013 a location opened up on the Historic Niles Blvd. the home of the ‘first hollywood’ of the 1900’s where dreams and passion drove people to create and innovate what is has become common core of our culture today. This place was perfect for a pioneering roastery company and a corner of town full of people who would appreciate a slow handcrafted drink. 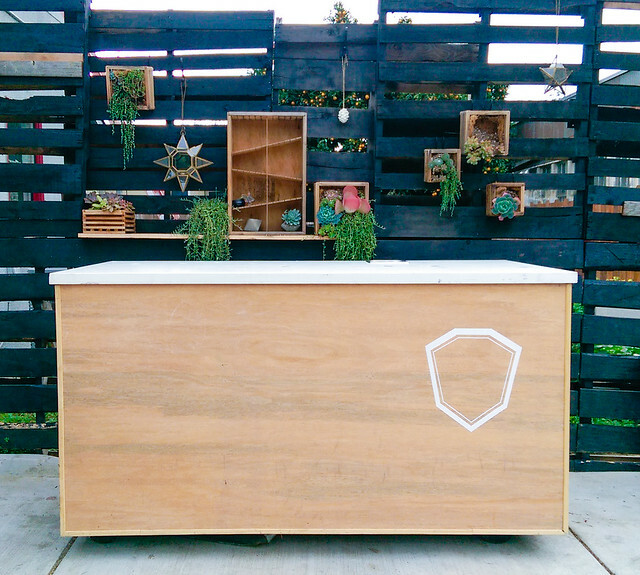 After hosting a backyard fundraiser, where their close friends and family, (and even new friends we’d never met who were following our journey on instagram), they were able to make 37323 Niles Blvd. the home base of Devout Coffee. Together with a few of their friends, they set out to change the culture of coffee in Fremont and bridge the gap between coffee cultures in Oakland and San Jose. My family visited Devout’s pop-up shop in August 2013 before they purchased their current place in the Niles district of Fremont. Niles itself has a lot of history; it was once considered as America’s first Hollywood, and it’s where Charlie Chaplin filmed The Tramp. It’s awesome watching and supporting a business from its beginnings. There weren’t any third-wave / hipster coffee shops in the Tri-City (Fremont, Newark, and Union City) ’till Devout Coffee opened! 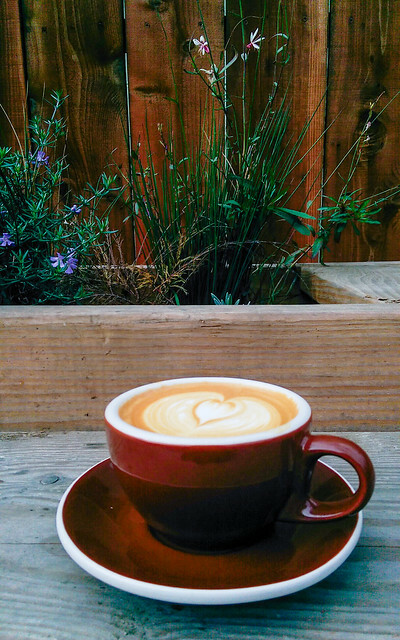 I ordered a 6oz cappuccino with Clover Milk for $3.50 and sat at the outdoor patio on the side of the shop. If you like chocolate in your coffee, Devout carries TCHO chocolate to turn your drink into a mocha. I highly recommend checking out Devout Coffee if you’re in the area, and check out historic Niles while you’re there! 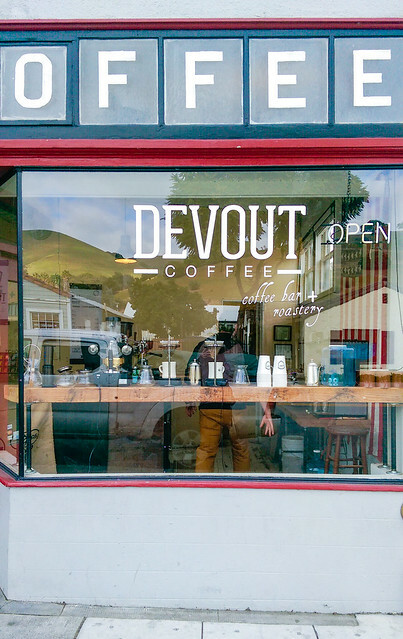 And thank you Devout, for bringing the coffee scene to the Tri-City!